Matthew first wiggled his worm by a river bank when he was just eight years old. His Dad Jonathan had the family away on a boating holiday on the Norfolk Broads. 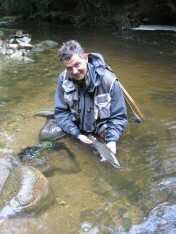 En route he purchased two tiny fibreglass rod kits, a quarter of a pint of maggots, a few hooks and some split shot. 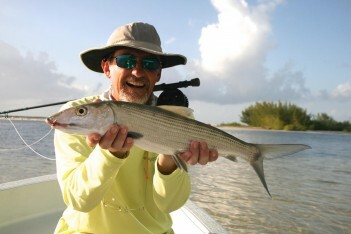 Matthew can still remember his first ever fish and how many he caught in total that holiday. 14 in case you’re interested. Oh, and the first fish was the slippery eel. These days he’s less interested in numbers caught than the environment our aquatic fauna and flora inhabit. Matthew campaigns on behalf of the Wild Trout Trust and the Salmon and Trout Association after learning about the challenges faced by our beautiful indigenous wild brown trout from pollution, poor farming practices, predation as well as the growing threat posed by alien species such as (http://www.nonnativespecies.org/home/index.cfm) the killer shrimp and signal crayfish. 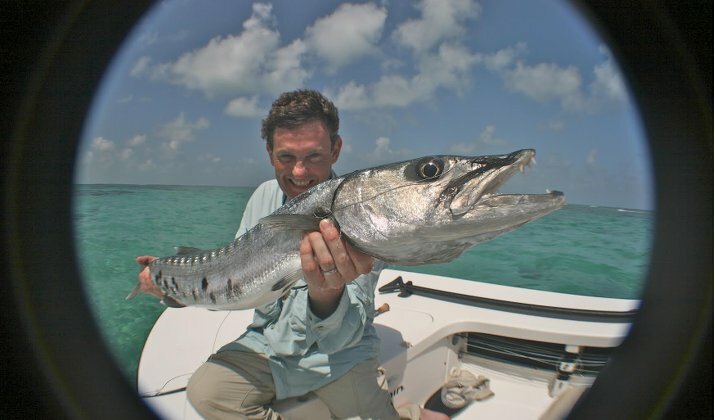 He does, though, remain a committed and enthusiastic fly-fisher and has been travelling extensively around Britain and for the last 20 years much of the rest of world in pursuit of new angling challenges. 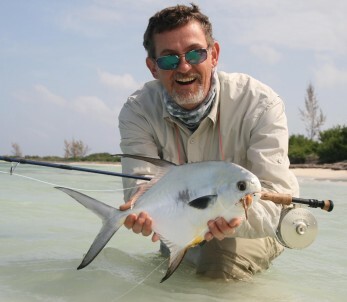 At the start of 2015 Matthew recorded his first saltwater fly-fishing Grand Slam in a secret location in Mexico. 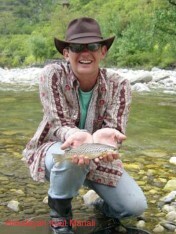 He hopes to fish the Pyrenees this autumn with a Spanish trout fishing expert and to return to Mexico again soon. 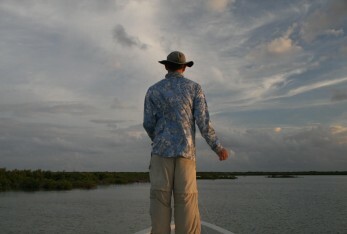 He’s currently supporting this competition http://www.salmon-trout.org/c/the-invisible-world/ to get film makers to make videos that highlight the wildlife, the beauty and the threats to the UK’s freshwater world – £2,000 top prize.